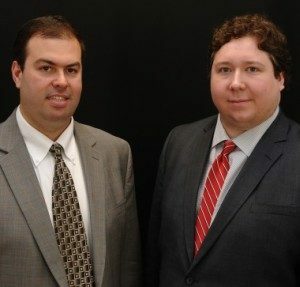 As seasoned immigration lawyers, Matthew Borowski and Ryan Witmer have knowledge in most areas of Immigration and Nationality Law. We have represented clients before the Immigration Courts, Board of Immigration Appeals (BIA) for appeals of immigration court decisions, United States District Court, United States Court of Appeals, United States Citizenship and Immigration Services (USCIS), the Administrative Appeal Office (AAO), The Department of Homeland Security, Immigration and Customs Enforcement (ICE) for prosecutorial discretion requests and stays of removal, the U.S. Department of State, the U.S. Department of Labor, and various state courts including the Supreme Court of the State of New York. Our knowledge and experience allows us to follow immigration cases through whatever combination of legal actions may be necessary to achieve a positive result for our clients. Many of our cases involve some combination of representation before Immigration Courts, State Courts for Post-Conviction Relief, USCIS for approval of petitions or applications, and even state court appellate work pertaining to criminal convictions that result in inadmissibility or removability. Even if your case does not involve court representation, make sure to hire a lawyer who has a thorough understanding of all aspects of immigration law and is prepared to litigate your matter in court should the need arise. Many permanent residents, for instance, who reside in the U.S. and have had no negative interactions with immigration authorities are simply flying “under the radar” with respect to immigration enforcement. All it takes is one interaction with an enforcement authority to cause them to be placed into removal proceedings. Decades-old transgressions, such as criminal convictions or even lengthy absences from the United States which could be perceived as abandonment of permanent residency, can be used against non-citizens by ICE to establish removability from the country. A lawyer with a basic understanding of the requirements of naturalization may encourage his client to file an N-400 to naturalize, while a lawyer with a more thorough understanding of the immigration laws may recognize a problem that could result in serious repercussions such as deportation, and encourage his client to correct that problem before proceeding with an application. For this reason, it is crucial that you seek competent legal advice from lawyers who understand the law. We are experienced in fighting against deportation in Immigration Court. We win cases through Motions to Terminate, Cancellation of Removal, Adjustment of Status, Defensive Asylum, and other forms of relief. We often fight cases of first impression, through novel legal arguments and solid research. We also seek relief through prosecutorial discretion requests and I-246 applications for a stay of removal with ICE, in the event of a final order of removal. If you have a final order of removal, we may also be able to reopen your case. If you have received a “Notice to Appear” ordering you to appear in Immigration Court, don’t wait — contact us immediately to schedule a consultation. We regularly handle detained representation at the Buffalo Federal Detention Facility (BFDF) in Batavia, New York before the Executive Office for Immigration Review (EOIR) Batavia Immigration Court. 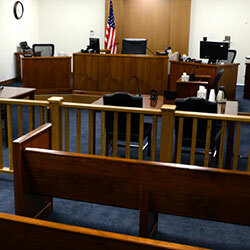 Even if you do not yet have a court date yet, or are a female detainee held in one of the outlying contract detention facilities such as Niagara County Jail, Chautauqua County Jail, Allegany County Jail, Ontario County Jail, or Albany County Jail in New York State, you are entitled to a bond hearing before an immigration judge as long as you are not classed as an “arriving alien.” If you are an arriving alien, you may be a candidate for humanitarian parole, a discretionary form of release from detention. Humanitarian parole requests are decided by the field office director of the local office of ICE’s Enforcement and Removal Operations unit. If you lost your case before the Immigration Court, you have the right to appeal the Immigration Judge’s decision to the Board of Immigration Appeals, an administrative tribunal located in Falls Church, Virginia. Typically you have thirty days to pursue an appeal before the BIA, so you must file a notice of appeal in a timely fashion. Borowski Immigration Law has won a number of high-profile appeals before the BIA and are prepared to tackle even the most complex legal issues. A “refugee” is any person who is outside his or her country of nationality (or, if stateless, outside the country of last habitual residence) and is unable or unwilling to return to that country because of persecution or well-founded fear of persecution on account of race, religion, nationality, political opinion, or membership in a particular social group. A person who meets the refugee definition may be granted asylum in the United States — if they meet their burden of proof. Issues include the one-year filing deadline and the burden of demonstrating eligibility for asylum. Our lawyers are highly experienced in litigating asylum cases before the Immigration Courts. We also file affirmative asylum applications for those who are not in removal proceedings but are present in the United States and wish to pursue protection. Affirmative cases generally must be filed within one year of arriving in the United States (the “one year filing deadline”). Family sponsorship — A U.S. citizen or Lawful Permanent Resident can sponsor a spouse, child, parent, or sibling for permanent residence. 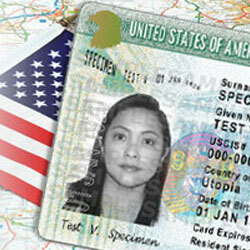 U.S. Citizens can procure immediately-available visas for their immediate relatives. More distant relatives and the family members of permanent residents need to wait for their visa priority date to become current — sometimes several years or even longer. Employer sponsorship — Companies that hire foreign employees can obtain a labor certification — basically proving that hiring a foreign employee is necessary and will not adversely affect market wages. Once a labor certification is issued, the employer can sponsor their employee for permanent residency. Persons of extraordinary ability can also self-petition for green cards without the need of an employer sponsor. Refugees and asylees — Those granted asylum or admitted to the U.S. as refugees may apply for green cards for themselves and their families after one year of residency in the United States. Our office also handles a variety of work visas for the United States and Canada including intra-company transferees (L1 visas), non-immigrant investors (E2 visas) and treaty traders, H1B and H2B (specialty occupations and seasonal occupations), J1 visas (short term learning/training visas). Our office is uniquely equipped to handle NAFTA visas on both sides of the broder. 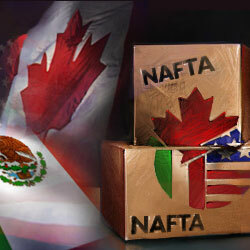 NAFTA visas are non-immigrant work visas for Canadian and Mexican citizens who wish to work in the United States, and for U.S. Citizens who wish to work in Canada, as well as their dependents. Under the North American Free Trade Agreement (NAFTA), certain qualified professionals from Canada and Mexico can receive non-immigrant visas to work in the United States. Likewise, American professionals can work in Canada. If you have a job offer, or are in the process of applying for jobs, trust Borowski Law’s skill, knowledge, and attention to detail. We have two convenient office locations on the U.S. and Canadian sides of the border, both just minutes from the international bridges and the Customs and Border Protection (CBP) pre-clearance location in the Toronto/Buffalo area. Our practice helps Americans who were prevented from entering Canada due to being inadmissible, and who are seeking rehabilitation to overcome inadmissibility. Barred from visiting Canada because of a past criminal conviction, such as Driving While Intoxicated (DWI)? Unable to cross the border? 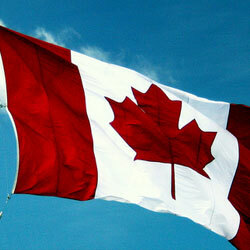 Through our Canadian office in Toronto, Ontario, we help those who wish to live and work in Canada. Our Buffalo office helps process rehabilitation applications, NAFTA visas, and Safe Third Country exceptions at the Canadian border for refugee claimants. Contact Borowski Law today for your Canadian Immigration needs. Mr. Borowski litigates Motions to Vacate Judgment (440.10 motions) and Motions to Allow Late Appeal (460.30 motions) before New York State Trial and Appellate Courts. He also handles requests for certificates granting leave to appeal pursuant to section 460.15 of the Criminal Procedure Law. Mr. Borowski has also litigated appeals before the Appellate Divisions of the New York State Courts. If you have a criminal conviction that causes a ground of removability or inadmissibility, and you were not properly advised of the immigration consequences, you may have received ineffective assistance of counsel and be entitled to vacate or appeal your conviction. 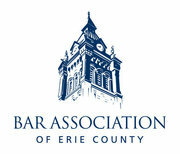 Mr. Borowski is licensed to practice in the United States District Court for the Western District of New York. If you have been charged with a crime in federal court, or are being held in contravention of your civil rights and would like to file a habeas corpus petition seeking release from detention, please call to discuss your case.